Let us go to celebrate the beer festival together. Use some beer festival posters to attract more people by stimulating their greediness. This festival poster template will accurately meet your needs. 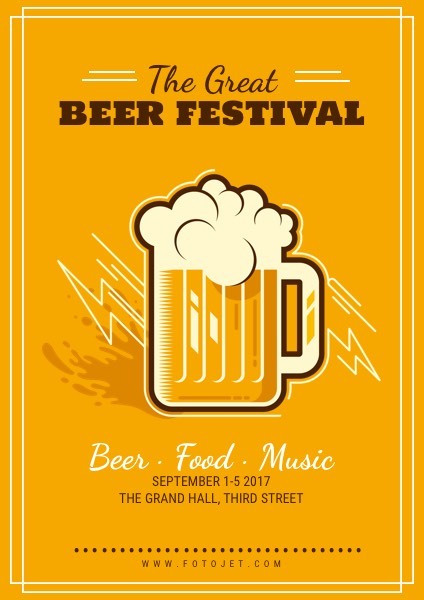 The showy yellow background color and the beer image will make have their mouths watering and cannot wait to enjoy this festival. You just need to edit the text with your own information. You will get endless editing possibilities from this customizable poster design template.